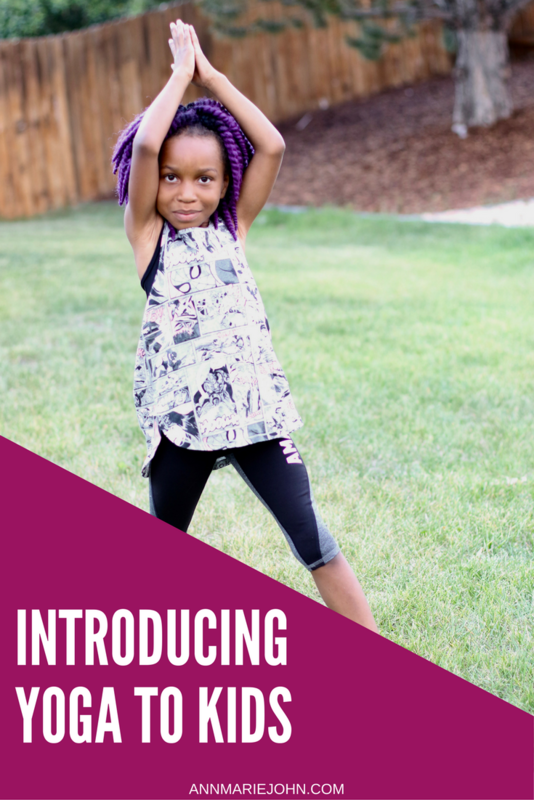 Madison and I had a lot of fun practicing yoga moves with the help of the new GapKids Marvel - GapFit Marvel collection, after all, you need the perfect workout gear when working out. Yoga has numerous benefits for both children and adults. If you practice yoga and would like to introduce the practice to your child(ren), or you yourself would like to get into it as well as involving the little ones, here are a few tips on how to start. Children often don’t want to pay attention for long periods at a time, and that is very normal. When introducing yoga, keep it simple as far as poses go, and only do a pose for a minute before moving on with younger children (6 or younger). You want to keep your yoga session around 15 minutes unless your child is over the age of 7, or thoroughly enjoys the practice. If they do enjoy it, be sure to mix in many minimally strenuous poses so that their body can keep up without being injured or strained. It’s best to do yoga after eating a light snack or right away in the morning. A full stomach can prevent your body from getting into the proper form and will hold you back from getting the full benefits of yoga. It’s also not good to let your child eat too much before yoga as they will quite possibly feel tired and not want to participate as they normally would. While doing yoga with your child, you will want to encourage the proper form, and help them, however you do not want to force them into it. Let their body naturally adjust as you continue to practice yoga and they will eventually be able to get into the proper form. (Practice makes perfect!) You also want to encourage them to breath properly during yoga, this will help them relax and will boost the effects of the practice. Before, during and after doing yoga you should be using positive reinforcement with your young ones. They need to feel like they are doing a good job and should never feel discouraged. If they are having trouble with a pose, be sure to let them know that it’s okay and that they will get better each time they do it. Actually getting your child to participate is the first and can be the most challenging task. You will initially want to introduce it in a fun way such as a game of Simon Says, or telling a story that goes along with the poses and having them do the poses with you. Some children may jump right in and love it, others not so much. Be sure to let your child act naturally, don’t force yoga on them, if they want to do a certain pose rather than the one that you want them to do, that’s okay. There will come a time when they will participate and do exactly as you do. Age plays a big factor in this; if you have young children don’t get frustrated with them when they just want to run away and play, continue to introduce it each day and eventually they will want to join in. The new GapKids Marvel collection features an assortment for boys and girls celebrating Marvel characters and their heroic adventures including Captain America, Iron Man, Thor, Hulk and Spider-Man. Together, Gap invite kids to be the Super Hero of their own stories and unleash their own Super Powers because, they already are, FIT TO BE SUPER. The collection includes graphic tees, shorts and swim along with leggings and tanks. 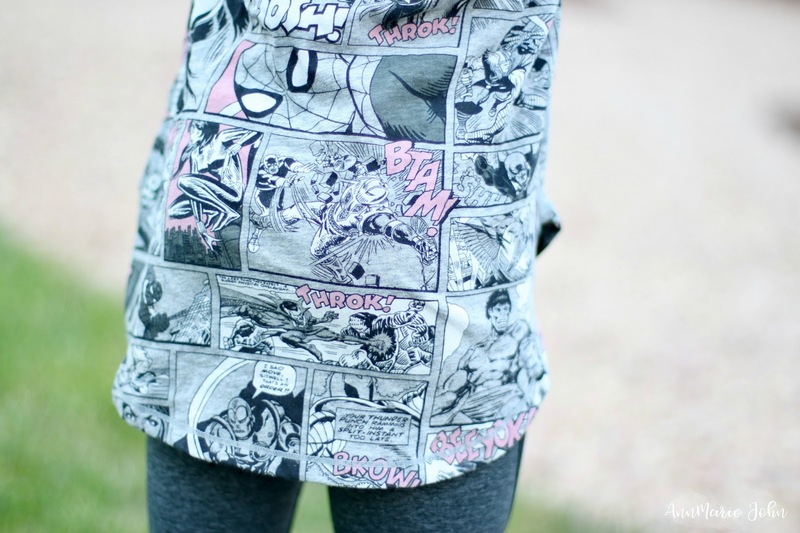 Shop the GapKids Marvel Collection! I love this! Yoga is one of those things that even young kids can do safely, and it's so good for them! Daww. Tiny little yoga pants! Those are too stinking cute! Your daughter is totes adorbs. I think yoga for kids is a great idea. It won't tax their bodies too much, but will help build strength and flexibility. Awesome. Madison is charming! I think it's awesome that there are clothes like this for the kids, it encourages them to be more active especially this summer. Yoga is a lovely choice of exercise, it's great that kids can learn it as well. I live for yoga! It's a huge part of my daily life. the studio I go to offers kids classes and I think it's a great way for kids to get involved. Fitness is learned from the parents! I didn't know gap had a marvel fitness line and I think I'll drop by and grab something for my nephews! Great tips for introducing yoga to kids. Yoga can be a great way to exercise. Madison looks so cool in her workout clothes! I need you to teach me yoga you must have such patience. I love those Marvel patterns but my daughter is too old for these. HOw cute are these!? my daughter would love them for all walks of life, not just yoga! I honestly never thought of using a game like Simon Says to get the kids doing Yoga, what a brilliant tip! I miss my oldest being a little girl, those clothing options from Gap are just fabulous! I really need to do this with my boys. It sounds like a really great idea. Plus it would be good for me too! How adorable. 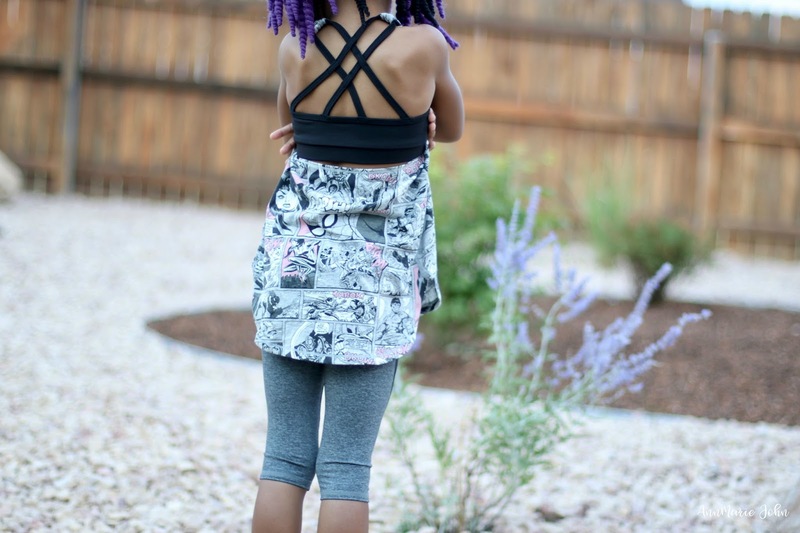 There is a kids yoga class where I live, and I love that these clothing pieces are so perfect for it. This is so sweet! My little guy loves yoga and stretching, although he was introduced to it because of his gymnastics! My daughter absolutely loves Marvel! We will have to check out this new line at Gap Kids. Too cool! This is a great idea! And I love that Gap has some cute outfits for active kids! I like to take my daughter to our community center where they have a yoga class for parents and tots. It's a great way to introduce them to it. I also love the Marvel outfits! So fun for working out! I've been in love with yoga since I started doing pre-natal yoga while carrying my son. I've practiced it regularly since then and I hope that my son will be able to join me some in the future. Right now he's a little too wild and energetic. I love the new Gap line, sooooo cute! That is so great to get your children into yoga at an early age! Teaching them healthy habits is so important from childhood. The Marvel clothing is awesome too! Gap always has the cutest things in their Kids collection. Thank you for letting me know about the Marvel Collection clothes from Gap Kids. My granddaughter would be thrilled to own an item or two from them. I love how you encouraged your daughter to do yoga. That's a great mommy right there! 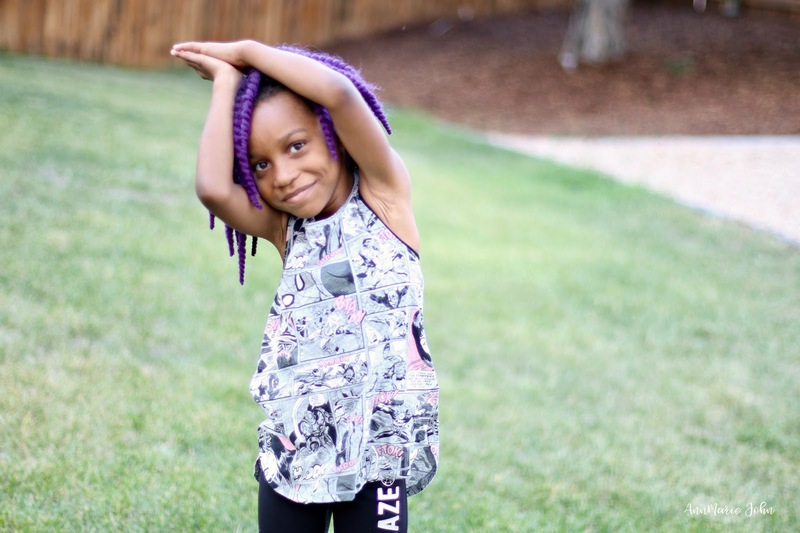 I love seeing little ones get into yoga... and can we talk about how stinkin' cute the Marvel clothes are?! I LOVE them!!! These yoga clothes from Gap are so cute. They are perfect for introducing your kids to yoga. I like the idea of doing a Simon Says type game to make the practice fun. 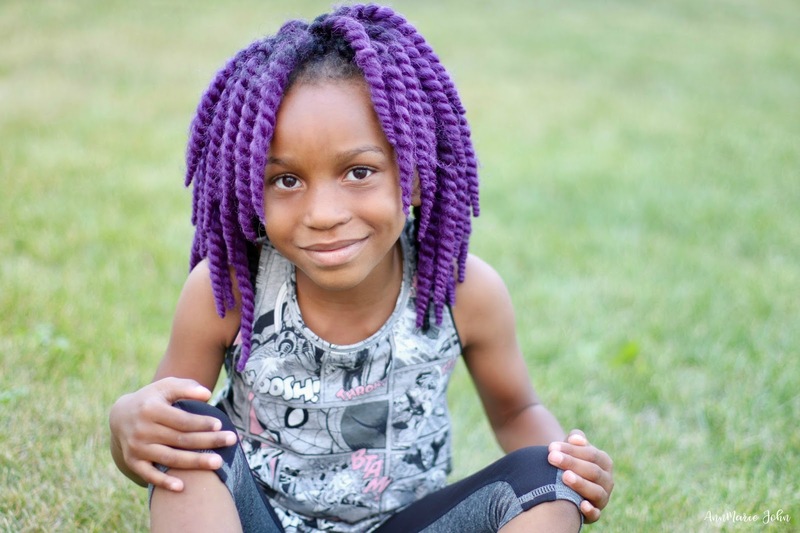 We love Gap Kids clothing- and oh, my, word! These are such cute yoga outfits. Madison did a great job with yoga. I need to try to teach my daughter too. Will be looking into getting her an outfit like this one- so cute! Yoga for kids is GREAT! It helps with so many different things and builds self esteem and confidence. Your daughter looks like a natural. Adorable clothes that any Marvel fan would love! I think it's great that Gap has these! It's a nice gift for active kids especially those who play sports. Yoga is simply lovely, glad to see kids doing it with their parents these days. My daughter took to yoga like a fish to water when we started doing it several years ago. She still does it sometimes. Me? I had to retire because of ankle and knee issues. It is so great that you are getting your kids involved in yoga at such a young age. I wish that I had done the same with my kids when they were little. Unfortunately I didn't start practicing yoga until most of them were grown up. I wish I'd started sooner myself too - I feel like I'll always be a perpetual beginner. These are amazing!! Sigh. I need to get that whole clothing line. As for yoga, they do it in the schools now! My sister, a yoga teacher, has a one-year-old already doing it. Amazing. I love Madison's form! Hi Madison!!! Great ideas. My kids could benefit from doing yoga. I also want to try yoga. It looks relaxing and probably would take away a lot of stress! An old colleague of mine swears by yoga and has been doing it for years. I love the idea of getting kids into it from a young age.